Your iPhone is a valuable tool that likely makes life very convenient, but there are a host of problems that can happen when it tumbles out of your hands onto cement, or comes into contact with liquid or when some of the parts have reached their lifespan. Popular thinking says, you should upgrade and get a new phone, but what if your budget isn’t big enough to accommodate an emergency expense of an expensive iPhone. But you also don’t need to downgrade to a cheaper and less cool mobile. Mobile iPhone Repair Portland is an independent repair operation that offers clients state of the art repairs to the mobiles, helping you keep your phone working at a superior level longer than you probably imagined. If you have a phone that’s past its warranty and extended protection agreement, but it’s still a phone you wish to keep, we can are the perfect solution to your problem. Our technicians offer affordable repairs for iPhone hardware and software problems. We aim to save customers from losing their shirt paying for an expensive upgrade when your current phone is still useful and can be repaired for far less expense. There’s no need to count pennies and cross your fingers that you can afford the latest iPhone or put yourself under the strain of a new contract when you can simply get your current phone repaired at an affordable cost. Your iPhone is a valuable tool that offers a great deal of superior features, and repairing it can take a lot of time that you do not have. There are typically hundreds of other iPhone owners who also need repair assistance and you are competing with them for an online appointment to send your phone for repair. If you’re like most people, your phone is a critical part of your life and you likely do not have time to waste waiting for weeks for a repair and for it to be mailed back to you. Many people typically own one phone so they are often left in a lurch or need to use a cheaper backup phone until the repairs are completed on their iPhone. When you use our services, we guarantee less wait time and we are often able to make same day and next day repairs and it is for a fraction of the cost when your service agreement with Apple no longer exists. When you get your iPhone repaired you want to be sure you’re using a independent repair company that uses high grade AAA replacement products for repairs. This is the guarantee you have when you use our services. 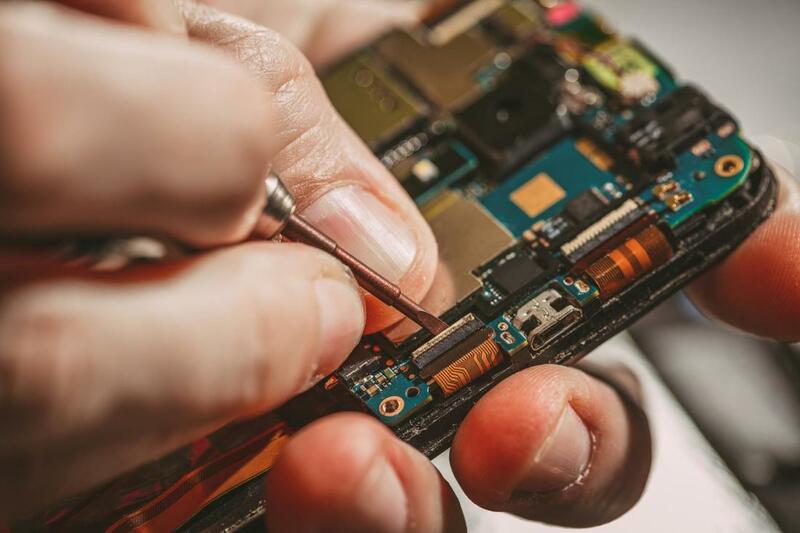 Not only are our mobile iPhone fix​ specialists highly trained and have a vast range of knowledge for repairs, but we also use only the highest grade products to replace damage hardware. There are a host of issues other than cracked screens and water damage that can go wrong with your iPhone and we aim to ensure that everything that can go wrong, we know how to repair to the highest quality possible. There’s no need to spend money you don’t have or sign agreements you don’t want to get a properly working phone.